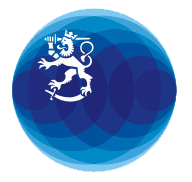 If you are a Finnish citizen and you are granted a divorce abroad, you must notify the dissolution of marriage to the Finnish Population System. Divorces granted in the EU area after 1 March 2001 are recognised as such in Finland provided that they are accompanied by a certificate issued in accordance with the EU provisions. The certificate can be obtained from the authority that has granted the divorce. The notification / certificate can be sent to the Local Registry Office or taken to a mission of Finland. If necessary, the document is to be translated into Finnish, Swedish or English. Divorces granted before 1 March 2001 and divorces that have been granted outside the EU must be confirmed by the Helsinki Court of Appeal.